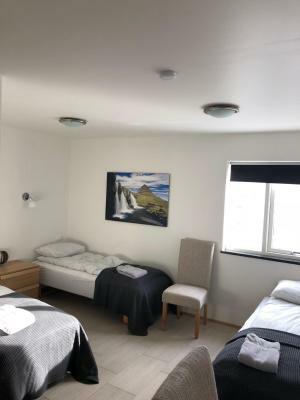 Lock in a great price for Kirkjufell Guesthouse – rated 9.1 by recent guests! We got the room no. 8 where was located behind. 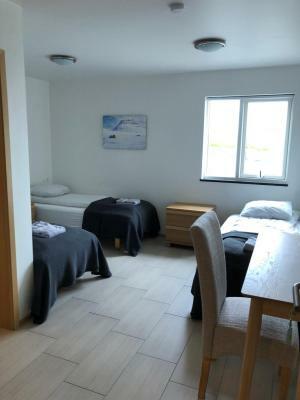 The room came with 4 sigle beds, kitchen, television, and private bathroom. The room was clean. Kitchenware was enough. Beds were comfortable. Excellent room with a view, kitchen facilities and management!! Loved my stay here and would stay again! 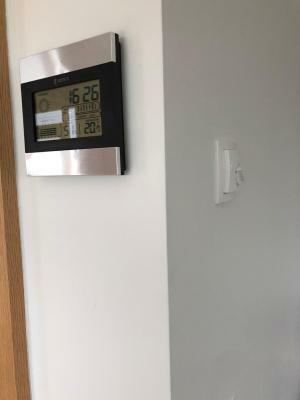 Very clean, brand new, comfortable, good wifi! The coffee in the morning was great. 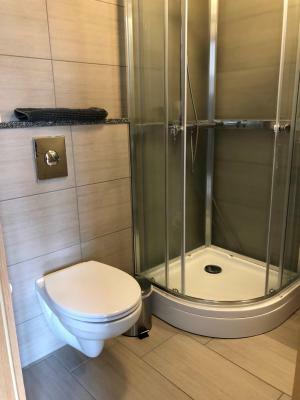 Great location, clean and new. The common area has the ability to get LOUD since all rooms are off of the main room. Our fellow guests were quite and nice. Wish we had seen the NORTHEN LIGHTS!!! Beautiful rooms in a marvellous setting! 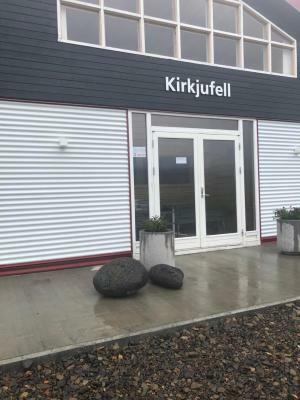 Location is quiet with a unobstructed view of Kirkjufell. We were lucky and were able to watch the northern lights directly out our window! The view from our room was amazing. 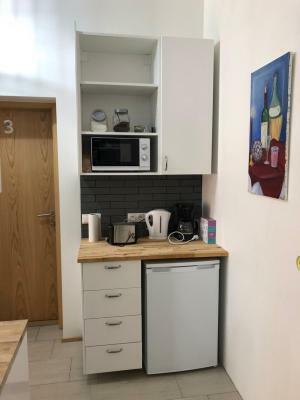 Having kitchen facilities available was also nice. 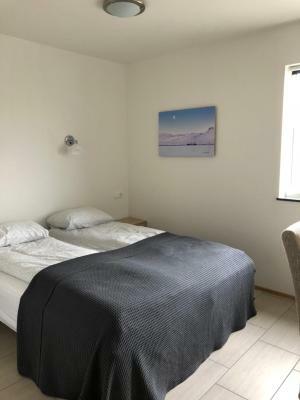 Fresh, new guesthouse in a super location facing Kirkjufell Mountain. The room was spotless and comfortable, and the host was very gracious. The private room/private bath and shared kitchen/living space format worked well. 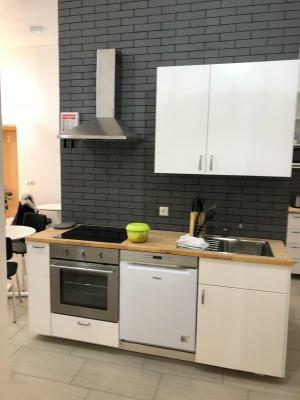 The kitchen (2 cooking areas) was bright and well equipped. Request one of two front rooms as they seem most spacious and feature terrific views! Good price and location. 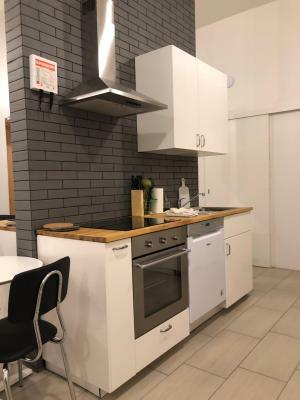 Shared kitchen and dining area was large. Free parking on site. Close to town. Great location. 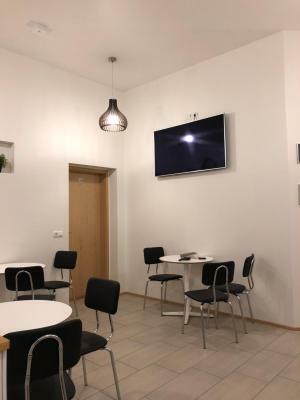 The place is newly renovated to everything is clean and quiet. Easy to find right near Kirkjufell mountain! One of our best sellers in Grundarfjordur! 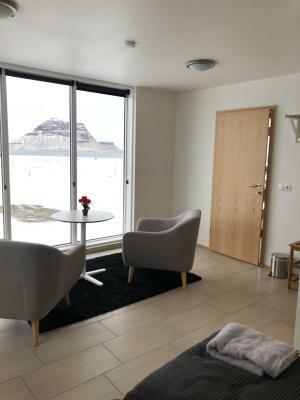 Kirkjufell Guesthouse features free WiFi and views of mountain in Grundarfjordur. The tour desk is available to assist guests in planning their days out. 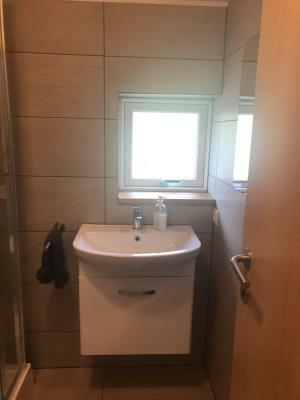 Featuring a private bathroom with a shower and a hair dryer, some units at the guesthouse also offer a sea view. 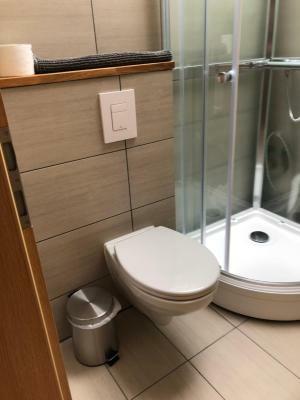 This property is also rated for the best value in Grundarfjordur! Guests are getting more for their money when compared to other properties in this city. 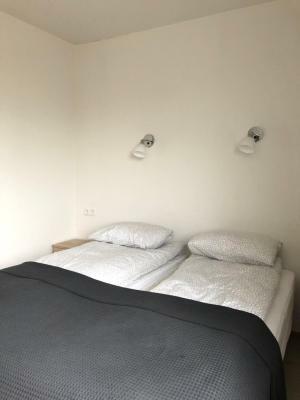 When would you like to stay at Kirkjufell Guesthouse? 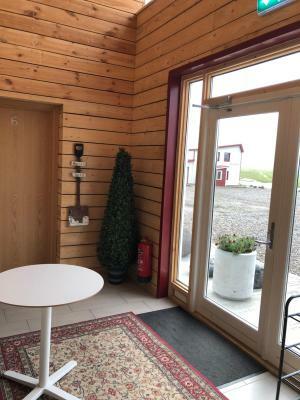 House Rules Kirkjufell Guesthouse takes special requests – add in the next step! 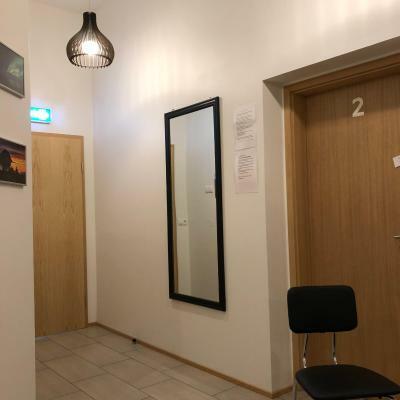 Kirkjufell Guesthouse accepts these cards and reserves the right to temporarily hold an amount prior to arrival. My name on the paper for room information was totally different which we might be confused if we didn’t meet staff and the owner. I think writing the correct guest name could show your attentiveness which I believe that it is important for people in service industries. 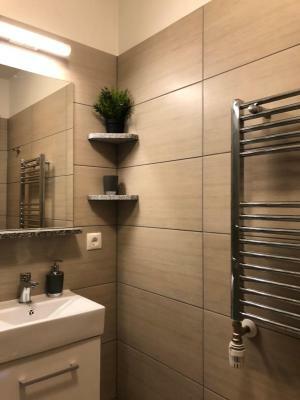 I would add a few simple things to the kitchen and soap in the bathroom. It wasn’t the most comfy or cosy place, but decent value for money to pass through during the road trip. Check was easy and well arranged beforehand (key was waiting for us). The location for us was interesting because of the orca watching tour nearby. The common facilities are okay, but missing some convenience (pepper, salt..). Noise and smell insulation could be better. Other guests were cooking a full Korean banquet and our room had all the smells and noises, but that's a minor thing. 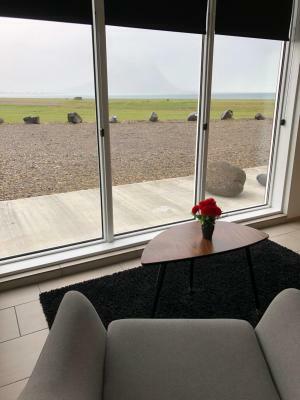 The location is unbeatable, overlooking Grundarfjordur and Kirkjufell. There's a lot of space in the common areas and free coffee/tea too. The staff is nice and there if needed, but also not in your way if you see what I mean. There's an air of trust that is really refreshing. Construction right in front of our window - very noisy Window opened to the parking lot, and people were there the entire day - couldn't enjoy a single moment of tranquility looking at the mountain in front of us. None of the pictures depict this. 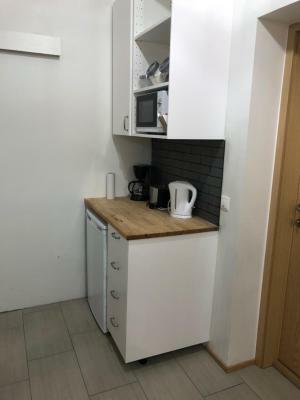 Kitchen isn't in your own apartment and it is a shared kitchen. 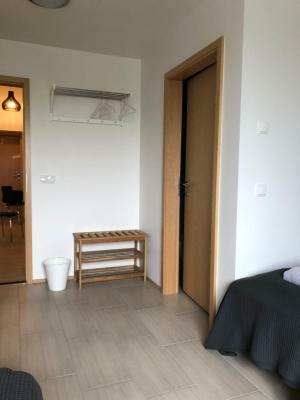 I've no issues with this, but again the pictures depict it as a private kitchen within your apartment / room Our room was right at the entrance and we could barely sleep with everyone walking in and out of the apartment. Gets noisy. Though quite, it is a few km from town. Thus one still has to drive to get to the amenities. We were there in late March 2019 and the worst of winter. The access road was not cleared with ice and snow. One has to be very care to stay on the road. 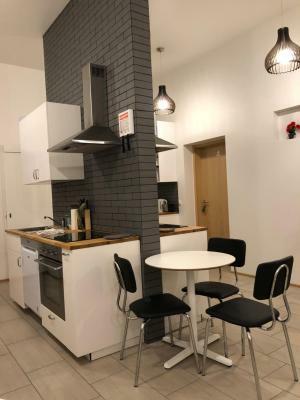 It has a well- equipped shared kitchen and sitting/dining area for the guest. Since restaurants in town are not that great, it is nice to do some home cooking here. The staff are very friendly and helpful. 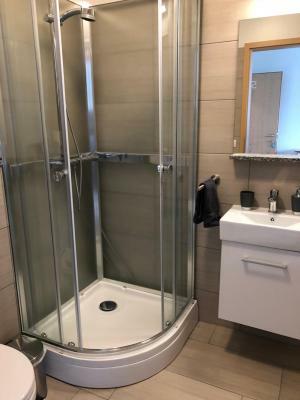 Amazing location and completely newly renovated inside! 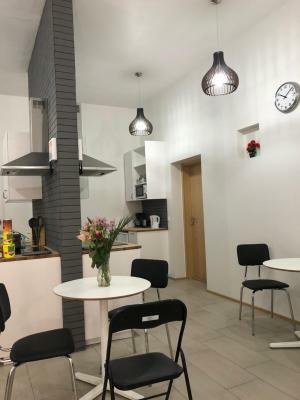 The location is good and value for money. Everything is well equipped inside the room. 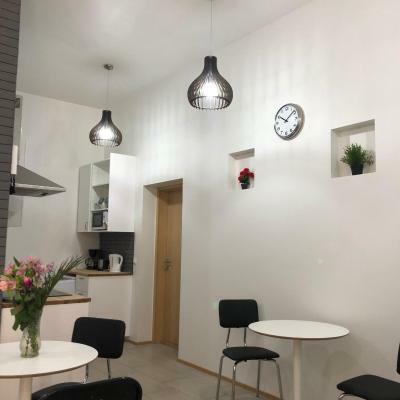 It is quiet place and very suitable for backpackers with low budget yet good location and well equipped. The kitchen equipment was perfect. We cooked a lot at night. And we could see Aurora in front of the house. That was wonderful and amazing. If there is a chance can come to Iceland again, I will stay two nights here.